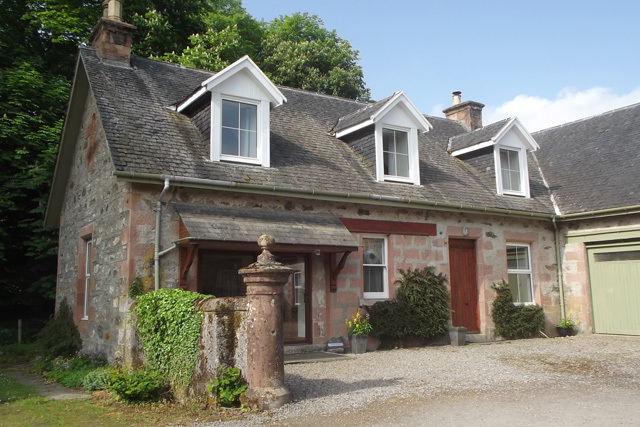 The Coach House is a large spacious and comfortable house located just four miles from the village of Beauly. 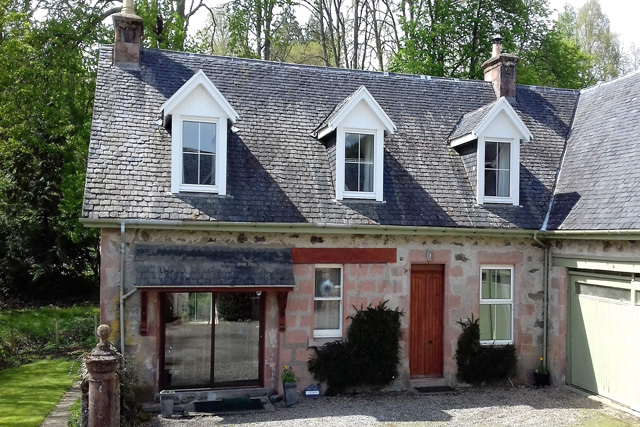 The property with its peaceful location is set in a small courtyard and located beside Aigas Golf Club, one of the most picturesque golf clubs in the Highland Region. 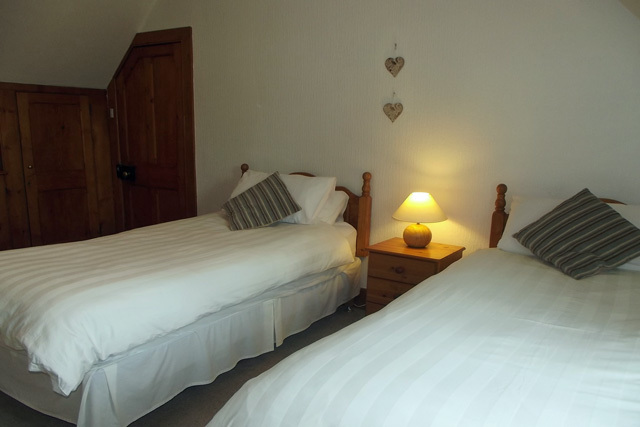 Throughout the property is tastefully furnished and would make an ideal base for exploring not only the Highlands but the West Coast and the Isle of Skye. Entering the property takes you into a small hall. 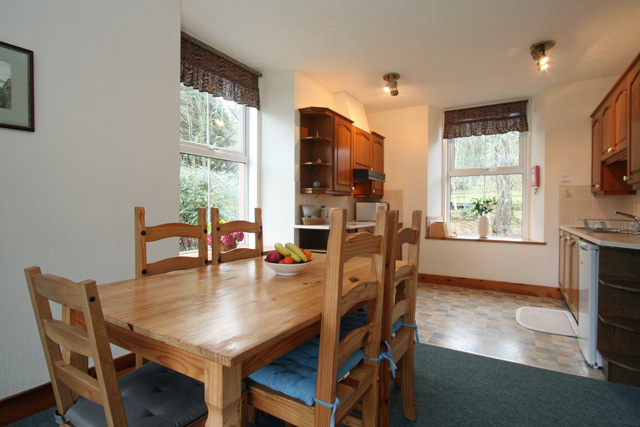 The sitting room and kitchen are located off the hall. 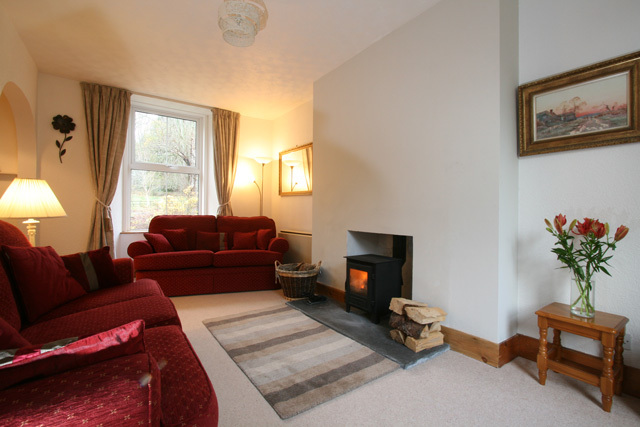 The sitting room has comfortable seating, a Freesat TV with built in DVD and a wood burner, this room is light and airy with a window to the rear overlooking the garden and to the front overlooking the courtyard. 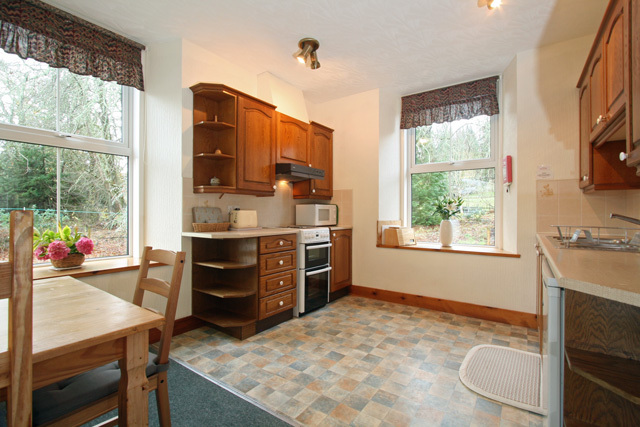 The kitchen/dining room is large and spacious and is well equipped with all the usual appliances and utensils. A large patio window to the front overlooks the courtyard and is particularly striking. Completing the facilities on this level is a shower room. 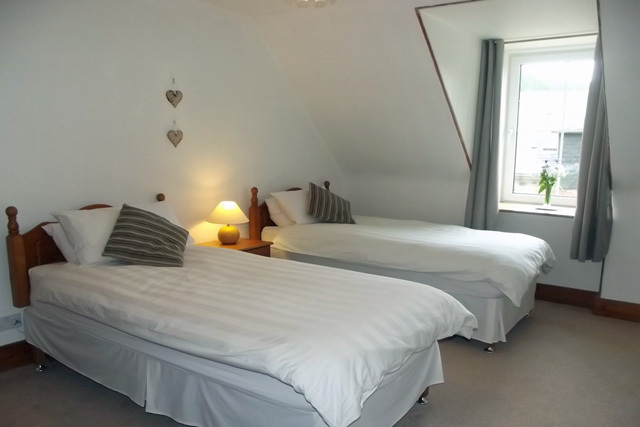 Upstairs there are three bedrooms, the master has a double bed and the other two set up as twins. 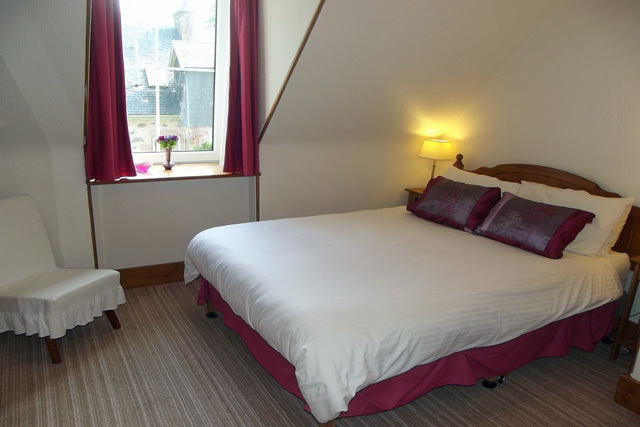 The bedrooms enjoy views to the courtyard and bed linen and towels are provided. A small cloakroom with a wc and whb is also available. The communal garden is spacious and offers various places to sit and relax and garden furniture and a barbecue is provided. 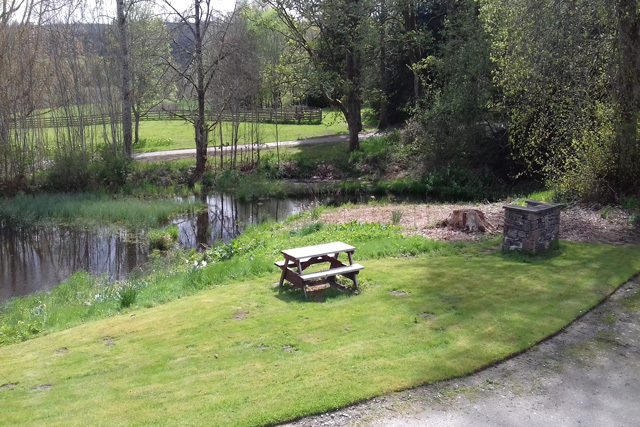 Guests with children should be aware that the garden is not enclosed and there is a large pond. 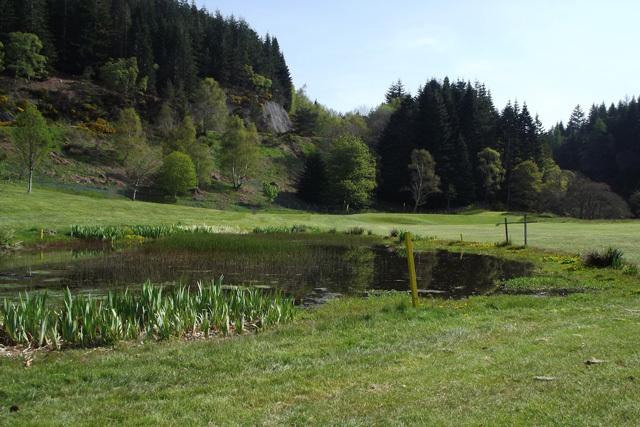 The property is situated beside Aigas Golf Club with its 9 hole course, guests who would like to participate are able to receive a 50% discount on the green fees and club hire is available. 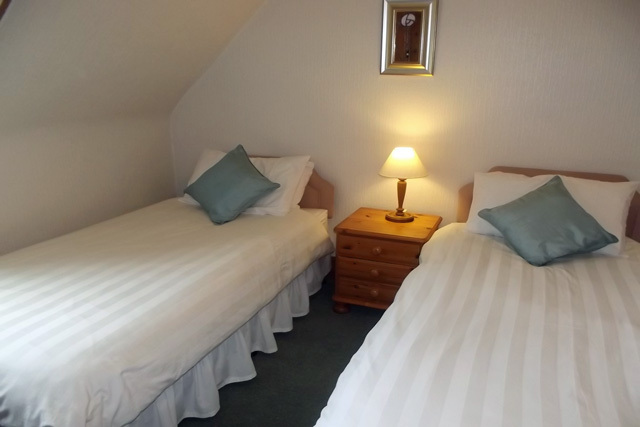 The club house has a coffee shop and a table tennis/games room, which is free to use and guests with children may particularly enjoy especially so on a wet day. 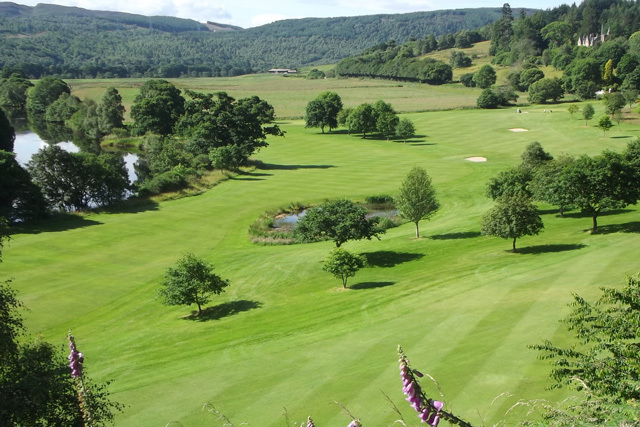 The nearby village of Beauly (4 miles) offers a good range of facilities including a number of restaurants, unique shops, supermarket and village pub. A couple of favourites worth mentioning being the Old School which sells an array of Scottish goods and the Corner on the Square, a licensed delicatessen and restaurant overlooking the square. 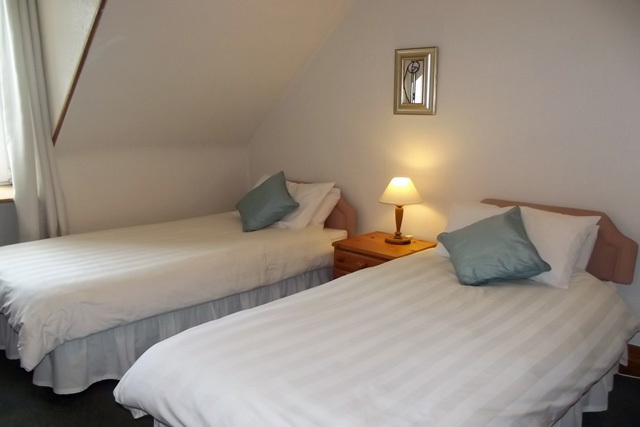 The Coach House offers a perfect base for exploring with the City of Inverness with all its attractions just 15 miles away, and the Isle of Skye and the west coast within a ninety minute drive. It is also a great base for exploring the three stunning and unique Glens of Affric, Strathfarrer and Cannich all in easy reach and offer great walks and cycling. Travelling to Skye stop off and visit Eilean Donan Castle near Dornie, one of the most famous of Scotland’s Castles and certainly the most photographed. At Kyle of Lochalsh take the bridge across to Skye and visit such places as Dunvegan Castle or Talisker Distillery, or spend your time enjoying the magnificent scenery including the Cullin Mountain. 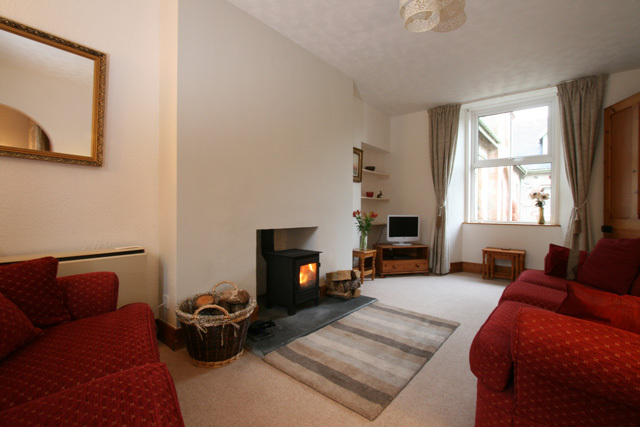 Sitting room with comfortable sofa, armchairs, wood burner, 32" Freesat TV, DVD player, DAB radio. Kitchen, electric oven, grill and hob, microwave, fridge with ice box, and all the usual cooking equipment. Dining area with seating for six. Shower room, shower, wc, bidet, whb, heated towel rail. Electricity and heating costs, panel & storage heating throughout. Wifi internet access (indoor and outdoor). Indoor and outdoor drying & ironing facilities. Communal laundry with washing machine and tumble dryer. Selection of books, games & DVD'S. Communal garden with furniture, barbecue and washing line. 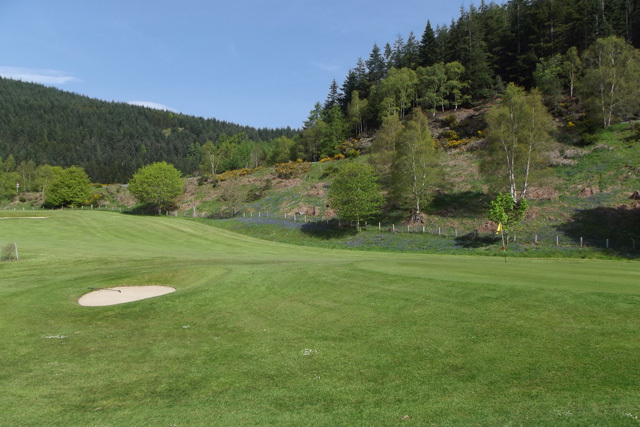 The Coach House is located beside Aigas Golf Course which has a 9 hole parkland golf course, guests staying are able to enjoy a 50% discount on the green fees, club hire and ride on buggy is also available. The golf club also has a games/table tennis room along with a coffee shop that guests can use. One pet is allowed at the property, an additional fee of £15.00 applies. Please note that the garden is not enclosed. 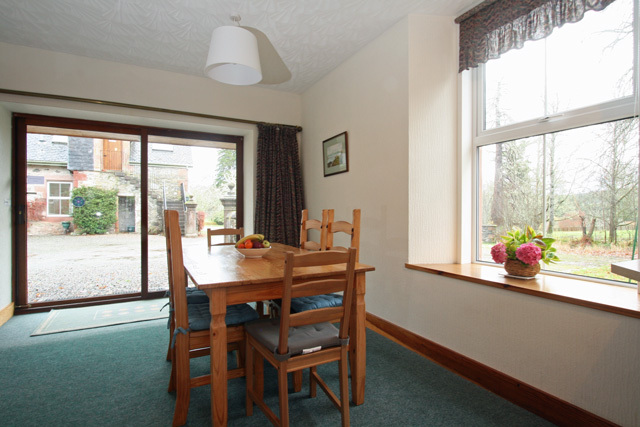 Large spacious house ideal for a family or group of friends. Outdoor grounds to relax in with a BBQ area. An ideal base for exploring local Glens including Strathfarrer, Glen Affric, Glen Cannich and the Highland Region. Quiet country roads for cycling and miles of walk to explore in Aigas Community Woodland. Free trout fishing on the river Beauly. On site coffee shop with free WiFi and games room. 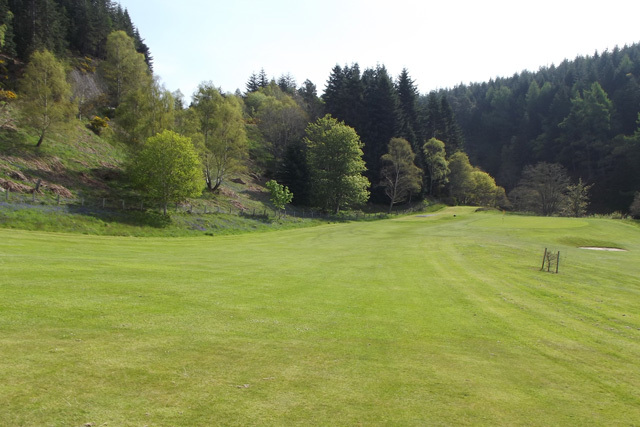 Free golf course practise area and unlimited golf for – £35 per week or £7.50 a round pp. Free WiFi in and around the property. 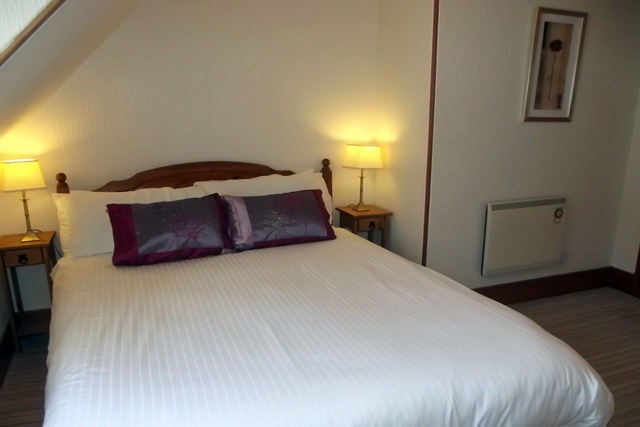 10 mins drive to shops and services and train station in Beauly. Great bird and wildlife including, buzzards, red kite, osprey, red squirrels, otters and pine martin.